Feel More Secure with a Complete Security System - Secure Tech, Inc. It is only natural for a property owner to want to protect what’s theirs. Your home is your castle. It is where your family sleeps, plays and spends time together. The risk of your home being burglarized or damaged when you are away or at home is always there. It is a fact of life. However, there are things you can do to protect your home and that includes having a comprehensive security system installed by a professional team. 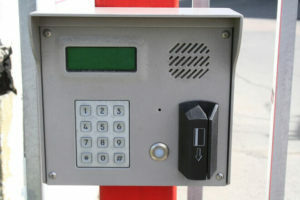 The system will give you peace of mind when you are home and away as well as deter many would-be robbers or vandals. The team at Secure Technologies is here to help you make your home feel a little safer. There are many elements to any system and one of the most important additions is a security camera. In fact, a series of cameras that covers the entire outside of your home is an excellent idea. The cameras can be viewed from an app on your phone or inside your home. This tells you who or what has triggered a security light or what made that noise outside. If you would prefer not to answer the door to a stranger, but would like to know what business they have coming to your door, another handy addition is an intercom. This allows you to ask the questions you need to know without opening the door or gate. We all deserve to feel safe and these systems are not only for the rich and famous. Any home can benefit from the installation of a system that provides an additional layer of safety. With technology the way it is today, you can get alerts about when your door opens or when a fire alarm is going off in your home, even if you are across town at work. This is an excellent way to stay in touch and you will never have to worry about being surprised. Give Secure Technologies a call today to learn more.